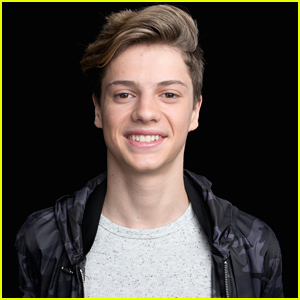 We’ve Finally Found Jace Norman’s Celebrity Dopplegangers! 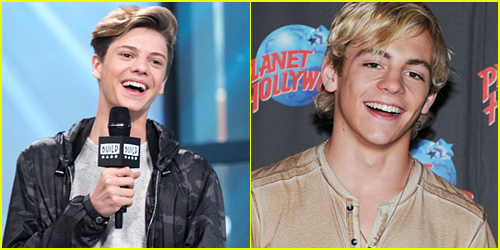 | Jace Norman, Jake T. Austin, Ross Lynch | Just Jared Jr.
We've Finally Found Jace Norman's Celebrity Dopplegangers! We finally know who Jace Norman looks like! The Henry Danger star, who was in NYC this past week, has always looked like somebody JJJ knew, but it wasn’t until last week that we put it all together. Jace is the perfect blend of both Ross Lynch AND Jake T. Austin! Want to see the proof? Click inside right now! The looks between Jace and Ross are really similar, from their blond hair, all the way to their cute noses. And those smiles? Swoon! We might have to convince you just a little more about the look-a-like qualities between Jace and Jake. JJJ definitely sees it in their strong lines, and the chin, and even more, just their cool and confident attitudes. What other celebs do you think Jace may look like? HE Looks like Bill Skarsgard! !